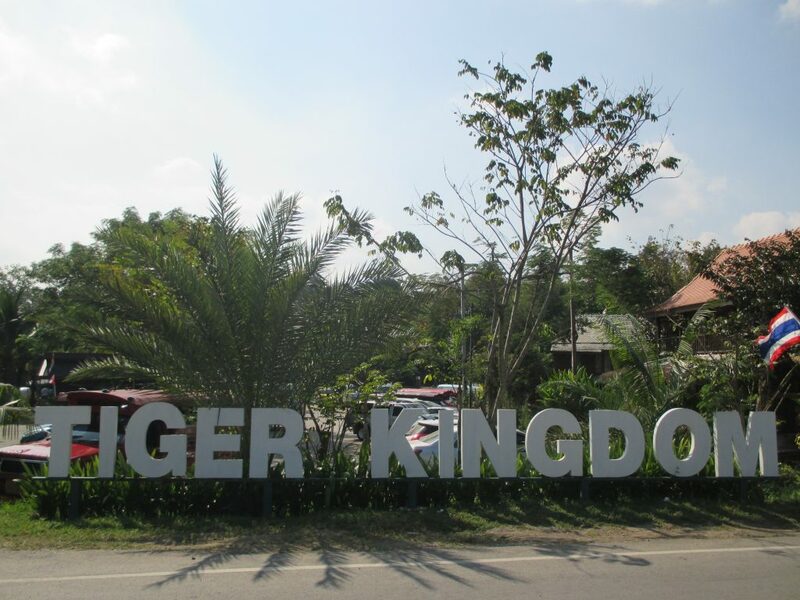 The Tiger Kingdom is a relatively new addition to the group of attractions in the Kathu area a part of Phuket. 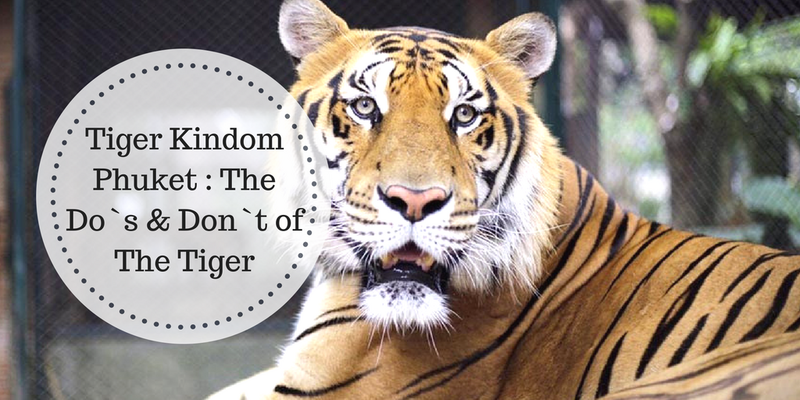 If you want to get up close with real live fully grown tigers then this is the place to come. 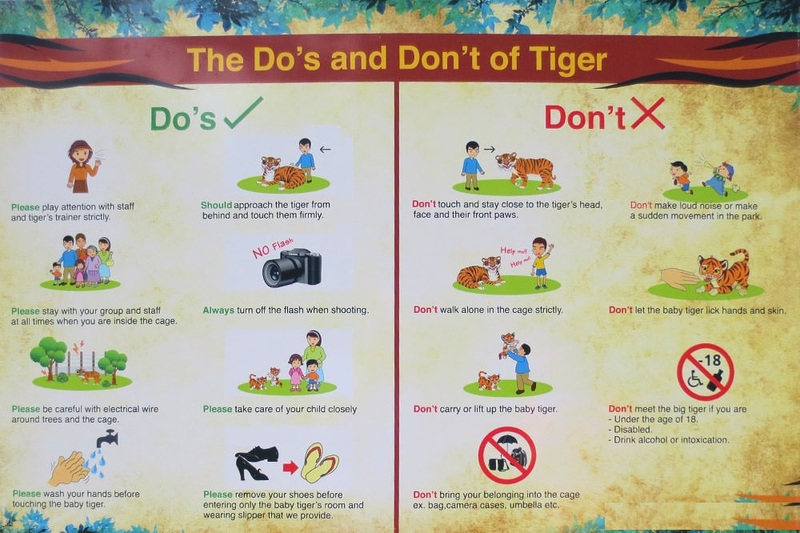 Talking about Tiger Kingdom Phuket, The Do`s & Don`t of The Tiger, Well if you are planning to visit this amazing place then you must know rules of Tiger kingdom, please have a look at the following image to make sure you enjoy to the fullest of this amazing activity to be experienced once in a Lifetime. I want to show my thanks to this writer for rescuing me from this matter. After browsing throughout the the net and obtaining proposals which were not powerful, I was thinking my life was well over. Living without the approaches to the difficulties you've resolved as a result of the blog post is a crucial case, and the ones which might have adversely damaged my entire career if I had not discovered the blog. Your personal natural talent and kindness in handling a lot of stuff was priceless. I'm not sure what I would've done if I hadn't discovered such a thing like this. I am able to at this moment look ahead to my future. Thanks for your time very much for the expert and effective guide. I won't think twice to refer your web blog to anybody who would need guidelines about this topic.